First recorded in 1199 as Alprinton, this place may have originally been an ‘estate associated with a man called Ealhbeorht’ – or it may have been a farmstead where apples were grown. By 1433 the village had a wooden bridge across the River Brent. Stag hunting was a popular pursuit hereabouts in Tudor and Stuart times. Alperton’s trans­form­ation began with the arrival of the Grand Junction (now Grand Union) Canal in 1801. Pleasure boats brought day-trippers and anglers. Brickworks were estab­lished, shipping their products by barge, as did farmers with hay for London’s horses. By the mid-19th century Alperton had become the most indus­tri­alised village in the Wembley area, reeking of horse manure, sewage and pig dung and polluted by dusty brick­fields. Tile and brick making ceased around 1890 and the newly created Wembley urban district council helped to clean up the noxious indus­tries from 1894. Alperton’s station opened in 1903, originally as Perivale-Alperton. Early 20th-century businesses included mushroom cultiv­ation and the manufacture of rubber products, fireproofing and Wooler’s ‘Flying Banana’ motor­cycles. The construction of the North Circular Road brought more industry in the 1920s and 30s. The district was almost fully built up by 1933 but underwent a decline after the Second World War, with a fall in population. From the 1970s East African Asians, many of Gujarati origin, began to move to Alperton. The new community brought a revival to the shopping parade on Ealing Road, selling a variety of specialist products – especially jewellery, sometimes crafted at home. The locality has been called an ‘Asian Hatton Garden’. 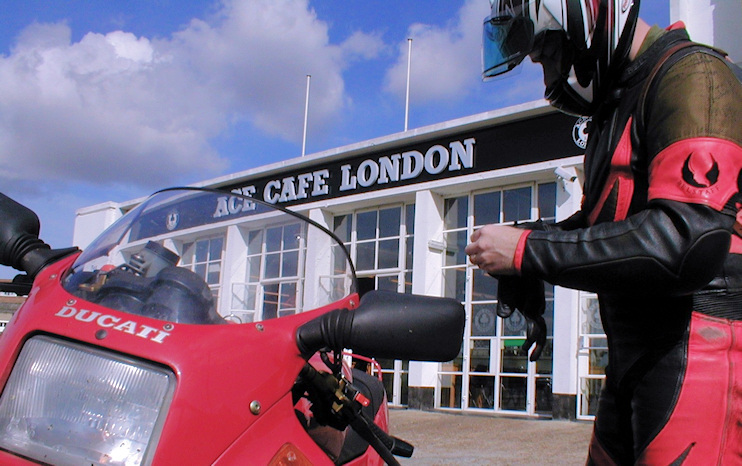 Built on the newly opened North Circular in the 1920s, the Ace Café is located near the Park Royal junction, on the Alperton/​Stonebridge border. It achieved legendary status as a bikers’ hangout in the fifties and sixties, visited by rock ’n’ roll luminaries like Gene Vincent and Billy Fury. The café closed in 1969 but reopened in 2001 after a total refit. In March 2018 Andria Zafirakou, who teaches art and textiles at Alperton community school, became the first UK winner of the Global Teacher Prize, an award worth $1m. She was appointed MBE in the 2019 New Year’s Honours.